On Time to Talk Day, National Officer Jane Cockram – the FDA’s lead on wellbeing – explains what members can do if they are struggling with mental health issues at work. Ironically, I am currently experiencing problems with severe depression and anxiety (there, I said it! ), but being at work helps. Unsurprisingly, I’d like to encourage everyone to take "Time to Talk". Small things make a big difference – a normal routine, a 10-minute chat about the weather or whatever – but being open about the anguish behind my stern expression gives me hope I won’t be misjudged. Too many people with mental health problems are made to feel isolated, worthless and ashamed. That’s why charities Mind and Rethink Mental illness run the Time to Change campaign. As they say, by getting people to talk about mental health we can break down stereotypes, improve relationships, aid recovery and take the stigma out of something that affects us all. The FDA fully supports this and wants to encourage these conversations. We also wish to remind members we are here to help. Supporting the mental health of its employees is a key part of the civil service’s ambition to be the UK’s most inclusive employer by next year. It wants to create a culture where staff speaks about these subjects, and Time to Change has some great materials and ideas for activities to help get your workplace, team or colleague(s) talking about mental health. 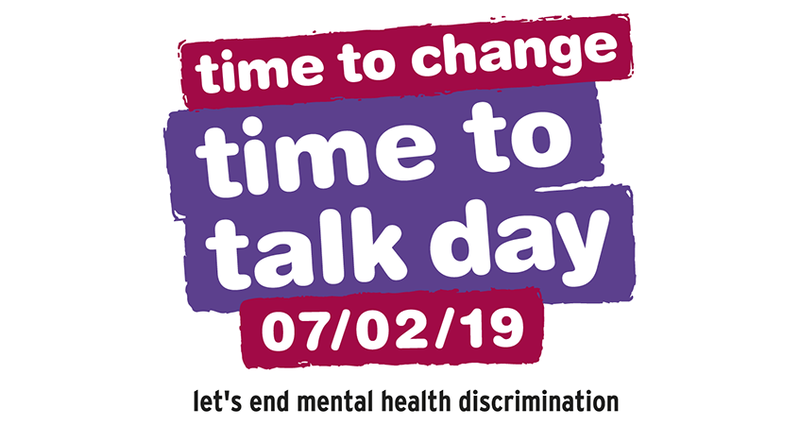 Whether it’s listening to your fellow staff over a cuppa or spending part of a meeting busting mental health myths, you can take the first step today by taking "Time to Talk"! Whilst there are some good stories in the civil service, unfortunately the FDA sees far too many members who need help with problems involving stress and mental health issues, but who are not getting the support they require or are too afraid to talk with their employer. This was also seen in the FDA’s 2018 Working Hours Survey, which showed members’ workload and additional working hours have adversely affected their wellbeing. Whether you are suffering from stress, depression, breakdowns, long periods of sickness or even the loss of a job, the FDA is here to support you through troubling times and help you get your working life back on track. Contact your workplace representative or the national officer responsible for your department to find out how your union can help you. If you are experiencing problems with your mental health or want some guidance in supporting a colleague with theirs, support is available within the civil service. You have access to an Employee Assistance Programme (or equivalent) offering 24/7, 365-days-a-year support by phone (look on your intranet). Mental Health First Aiders can listen to any mental health concern and point you to appropriate support. Importantly, you also have your manager, who can get advice and guidance from ‘Mental Health: A Guide for Managers’. This is a good document for you, too, or anyone experiencing problems to see what sort of resources might be helpful and accessible to you. A list of sources of support outside of work can be found on the Time to Change website. If you have ideas for what you want to see the FDA do to support wellbeing get in touch with me at jane.cockram@fda.org.uk.